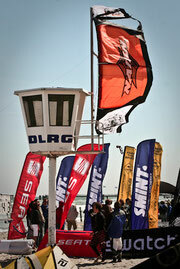 The sun was shining and the wind blowing, when the first Kitesurf-Tropy-tourstop started in Dahme this weekend. The competition was a little bit hectic for me, after my kite was destroyed by looping into a lifeguardtower at the beach in the 5th minute of my first heat, I was disqualified for the rest of the single-elimination. The wind became lighter in the double-elimination. They started it and I had some nice heats. But the wind droped, before there was a chance to go for the last heats. Overall I made the 4th place in the freestylecompetition. gebrauchen nachdem meiner nach den Singles geplatzt ist. Ich habe mit Kitesurf Kitesurfing Schule Tarifa http://www.kitesurfschooltarifa.net/en/ geübt und bin sehr zufrieden, ich empfehle es. Dieser Sport ist erstaunlich und sehr zu empfehlen.